The crazy things we do don’t stop at 50! This is a case in point. 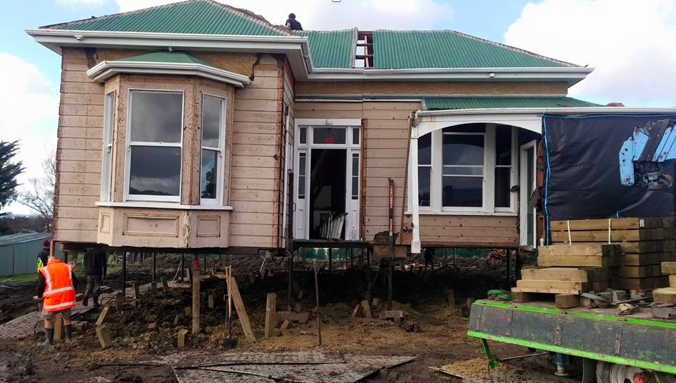 I was browsing the TradeMe property section and came across a 1900’s 5- bedroom villa for sale, needing to be relocated. At that stage we weren’t actively looking for another property but I looked at this house and fell in love. Literally. Fell. In. Love. Luckily while I was negotiating a fair price for relocation on site, my partner was blissfully fishing in the Hauraki Gulf, and quite unaware that we were about to embark on our (hopefully) final renovation project. I’m 50 and my partner is 54, old enough to know better. But this is what makes life exciting! I visited the property while it was still on site, haggled over the price and bought it on the spot. The relocator asked me where we wanted the villa shifted to. Pause. Do have a yard where you could store it while I find some land? Sure, he said. Obviously, I’m not the first purchaser to fail to have a section ready to go. So, the house sat in a yard for 3 months while we searched for “the one” special property. Our renovation story starts here. We searched for months over the bottom half of the North Island before settling on a beautiful lifestyle block in a tiny hamlet in the Manawatu. It turns out quite by chance that my son’s deceased grandmother’s family lived and grew up in the same town and now he’s attending the same primary school. I kid you not. Of all the places in the world. To add to the stress of relocation day we had a film crew following us and recording the house shift. 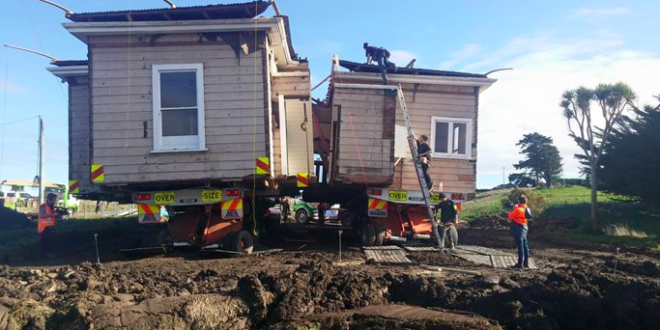 Because of the size of the house it had to be cut in half, and the roof collapsed to fit over bridges and under power lines. 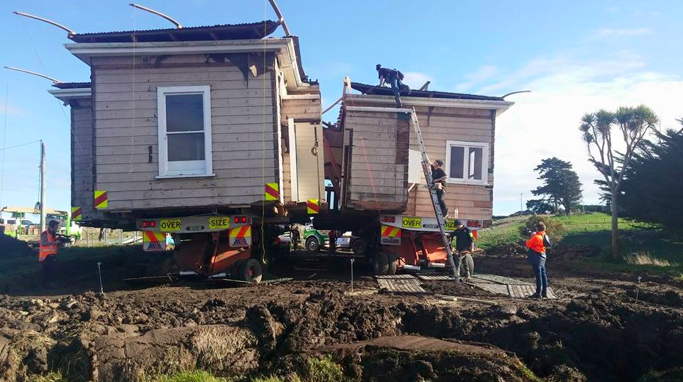 It was a surreal experience watching the house travelling down the highway and to be able to see into the hallway with its kauri arches and stained glass door hanging out over the road. Watching the skill of the relocation company fit the two halves of the property back together again using the truck hydraulics was a sight to behold. Picture two halves of a clamshell being gently shunted together in a V shape and then inched together. The neighbours looked aghast when they saw the derelict house for the first time. 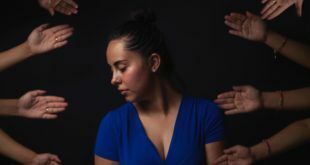 You’ll sympathise with their concerns when you see the pictures and even I had a moment of panic at the size of the project. However, for now, our crazy house renovation keeps our friends and family entertained and us out of trouble.